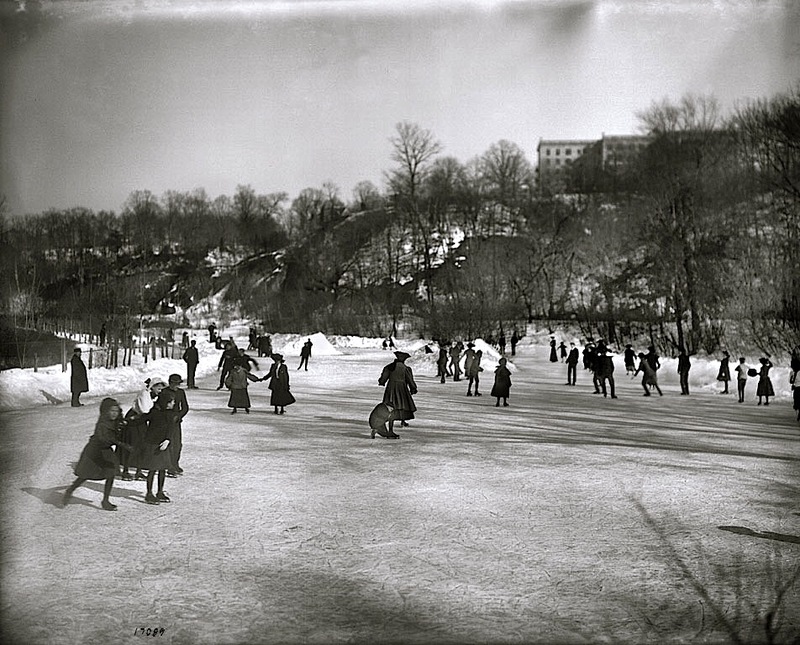 “Ice skaters on Rock Creek on the grounds of the National Zoological Park,” Washington, D.C., 1905, photographer unknown, via Smithsonian Institution Commons on flickr. Schools are closed in Washington today, with 4″ to 8″ of snow predicted. This looks like a happy time. Stay warm through the snow. We may get a few flakes here too and then it will be cold, cold, cold. It’s such a nice photo. I didn’t know that there was any spot where Rock Creek was that wide. I am very warm — here in Rwanda. I just like to post these old pictures when there’s snow back home. Oh, of course! Well hope you’re enjoying the warmth–sounds nice. Rub it in, rub it in….it’s only been snowing a couple hours and already have two inches….supposed to get 7-10! It must be pretty though. . . It looks so beautiful! I kind of remember the area. But then after the snow it gets really, really cold!! It has been so cold in Washington this year. I’m sure by now everyone will be happy to see temperatures above freezing and the snow melting.